“This beautifully and sensitively written book is the third of author Martha Kennedy’s historical novels set near Zurich, Switzerland. The story, which takes place in the 1520s, chronicles the lives, loves, and passions of the six Schneebeli brothers, whose changing and differing religious beliefs clash as the Protestant Reformation, promoted in the Swiss cantons by Ulrich Zwingli, sweeps through their lives. The book begins with the premature birth of baby Rudolf Schneebeli into the Catholic Schneebeli family, and his death minutes later before he can be baptized. The fact that a beloved child must be buried, unbaptised, in unsanctified ground, begins the book and serves as a catalyst for remarkable changes within the family as some brothers are inspired to follow Zwingli’s new religion while others hold their Catholicism dear. The issue reverberates throughout the book to the last sentence, highlighting the complexities in people’s lives brought on by religious change. 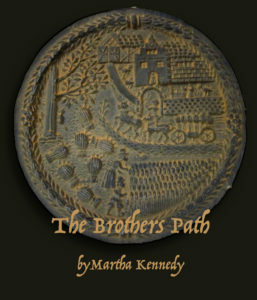 Award winning author, Martha Kennedy has published three works of historical fiction. Her first novel, Martin of Gfenn, which tells the story of a young fresco painter living in 13th century Zürich, was awarded the Editor’s Choice by the Historical Novel Society Indie Review and the BRAG Medallion from IndieBRAG in 2015. Her second novel, Savior, also an BRAG Medallion Honoree (2016), tells the story of a young man in the 13th century who fights depression by going on Crusade. 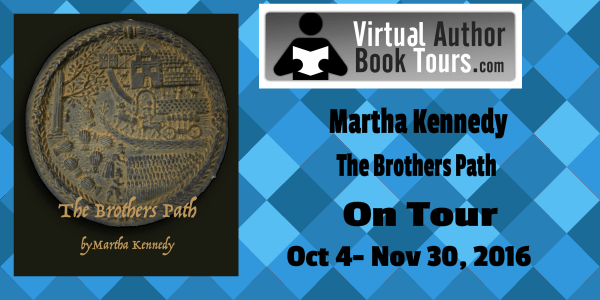 Her newest novel, The Brothers Path, a loose sequel to Savior, looks at the same family three hundred years later as they find their way through the Protestant Reformation. “Yes, young sir,” said Old Hugo. He stopped his work on the woodpile and rushed to the barn to saddle a horse. Andreas returned to his mother where she lay almost too weak to do what her body demanded of her. “Old Hugo’s gone for the midwife, Mother.” He sat down by Verena’s bed and took her hand. Before Verena could answer, the baby tried again to enter the world. Verena screamed and squeezed Andreas’ hand until he wanted to scream, too. Then she fell silent, exhausted. The previous night seemed like a lifetime ago. Andreas had listened to Pastor Zwingli talk about teaching people to read so that all could know the word of God. “The Scripture is clear to everyone,” Zwingli said. “No one needs a priest or a bishop or the Pope to tell them what it means.” By the time the sermon had ended, the city gates were closed. Andreas spent the night at the home of Felix Manz, inside the city walls. “Missus?” The midwife appeared at Verena’s door. Seeing Verena’s wan and harrowed face, Frau Beck crossed herself. “Surely not yet. Surely not.” She took off her shawl and set down the basket that held the implements of her trade. 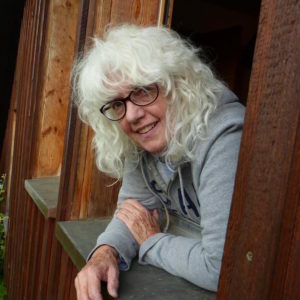 “Last time…” Frau Beck stopped and held her peace. Last year, when Verena had miscarried, Frau Beck had warned Old Johann, but he would never believe that by loving his wife and doing what God had ordained, he could hurt her. Frau Beck came in with a basin of water and all the clean linen she had found. She lifted Verena’s knees and spread them. “The baby is on his way. It is too soon, far too soon.” She crossed herself, fearing she’d accidentally willed the little one dead. Verena cried out again, and, in one final painful spasm of blood and life, the babe came into the world, blue and far too small. Within minutes, the baby was dead. His heart empty of all save sorrow, Andreas sat down beside his mother and watched her fall asleep. Frau Beck washed the baby with great tenderness, then swaddled him in a linen towel. That is a very powerful excerpt I really want to read the book now. I felt captivated with the story and the young boy trying to figure out the best thing to do for his mother. It’s so strange looking back 600 years from a place where that’s not an issue to a world in which it was extremely (and eternally) serious in the minds of the people. As I worked on this book, especially doing the research, I felt constantly that humanity has — for all its failings — made progress. I felt I owed these people a big debt for their willingness to fight though these horrendously difficult moments. 🙂 Thanks for the opportunity — it’s been really fun reading and responding to comments on your blog. It’s very useful to me. I don’t think any author knows what exactly his/her readers read in their book. I read my reader reviews and I’m always stunned how one reader is fascinated by one thing that the next reader hasn’t even noticed. Sometimes my work has a meaning to a reader that it didn’t have to me — and that is enchanting. I feel my books have their own lives and I have loved hearing about them from other people. It’s unpleasant to hear negative things, which might be why some writers don’t want to interact with readers. But I’ve learned there are two kinds of bad reviews. One is helpful and can make me a better writer, the other is from a person who simply doesn’t like the book, or something about the book, for reasons of personal taste. I get that. There are plenty of books that are just not written for me. Yes, and really my feeling is we can usually get something positive from a negative review. Excerpt and chance to win a free book! Quite the dramatic beginning! Not baptizing his dying baby brother really sets the stage for family and religious conflict. Thanks again for taking part in the tour. Good luck to all who enter the giveaway!